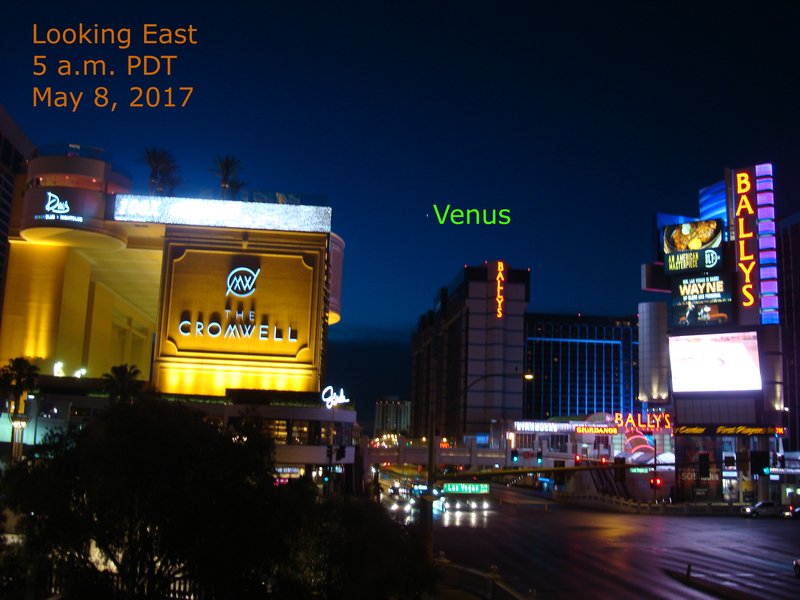 Venus gleams from the eastern morning skies; it is even visible from the brightest city lights! During the next several mornings Venus is at its brightest during this morning appearance. While it always outshines all “stars” in the night sky, it dims slightly during its morning appearance as it moves away from our planet.